Excessive phosphate pollution in freshwater can trigger algal blooms that destroy aquatic ecosystems through eutrophication. Phosphate laden stormwater is often discharged into streams with little treatment, creating a need for a portable, adaptable, inexpensive method to treat this pollution. Lattices were constructed using calcium alginate filaments infused with magnesium aluminum layered double hydroxides (LDH), which effectively absorb phosphate anions. Kinetics and equilibrium experiments revealed a maximum absorption capacity of 127.5 mg P/g of scaffold. Furthermore, the interlocking design of the scaffold removed phosphorus more effectively than previous bead designs. It is inexpensive - only 4 cents per gram - and could be deployed in stormwater detention ponds, farm ponds, fish hatchery effluent basins, or catch basins. However, while small-batch synthesized LDH is effective for phosphate absorption, commercially-available LDH barely absorbs phosphate, limiting possibilities for mass production. Distinctive differences in the XRD spectra of synthesized and commercially-available LDH indicated smaller layer spacing and increased crystalline disorder for the former. Treatment of the commercially-available LDH with heat, for 26 hours at 300°C, resulted in clear degeneration of crystalline structure and significant improvement in phosphate absorption. Further work will concentrate on implementing these findings in scaffold production, examining removal of nitrate and heavy metals, and 3D printing scaffold structures to optimize absorption. Furthermore, once the scaffolds saturate with phosphorus after a few days, they could be potentially recycled into slow-release fertilizer capsules, hindering the cycle of phosphate runoff pollution. Paige Brown is a Materials Science & Engineering undergraduate student at Stanford researching absorptive treatment for nutrient pollution. Working with Dr. Richard Luthy within the NSF funded program, Re-Inventing the Nation’s Urban Water Infrastructure (ReNUWIt), Paige develops a form of biodegradable polymer scaffold optimized for phosphate removal from stormwater treatment. Nutrient pollution can trigger eutrophication, leading to damaged aquatic ecosystems and unusable water resources, and Paige hopes that her research will help mitigate this harmful cycle and improve distribution and impact of wastewater treatment. Originally from Maine, Paige began her research when she discovered from a stream survey that many of the streams in her city of Bangor were polluted with phosphate. Motivated by the impact on the streams she grew up with, she began working in her basement developing a solution to the issues she found. Her work led to her winning the Intel (now Regeneron) Science Talent Search in 2016, as well as first place environmental engineering award for several other competitions. Throughout high school and college, she also worked with the NSF funded program, the Stormwater Management and Research Team, where she mentored underrepresented minority high school students in stormwater research skills. She continued her research at Stanford, where she is now a rising Junior. She also leads the Stanford Student Space Initiative high altitude balloon team, where she is a project lead for a world-record breaking balloon project. Bio: Paige Brown is a Materials Science & Engineering undergraduate student at Stanford researching absorptive treatment for nutrient pollution. Working with Dr. Richard Luthy within the NSF funded program, Re-Inventing the Nation’s Urban Water Infrastructure (ReNUWIt), Paige develops a form of biodegradable polymer scaffold optimized for phosphate removal from stormwater treatment. Nutrient pollution can trigger eutrophication, leading to damaged aquatic ecosystems and unusable water resources, and Paige hopes that her research will help mitigate this harmful cycle and improve distribution and impact of wastewater treatment. Originally from Maine, Paige began her research when she discovered from a stream survey that many of the streams in her city of Bangor were polluted with phosphate. Motivated by the impact on the streams she grew up with, she began working in her basement developing a solution to the issues she found. Her work led to her winning the Intel (now Regeneron) Science Talent Search in 2016, as well as first place environmental engineering award for several other competitions. Throughout high school and college, she also worked with the NSF funded program, the Stormwater Management and Research Team, where she mentored underrepresented minority high school students in stormwater research skills. She continued her research at Stanford, where she is now a rising Junior. 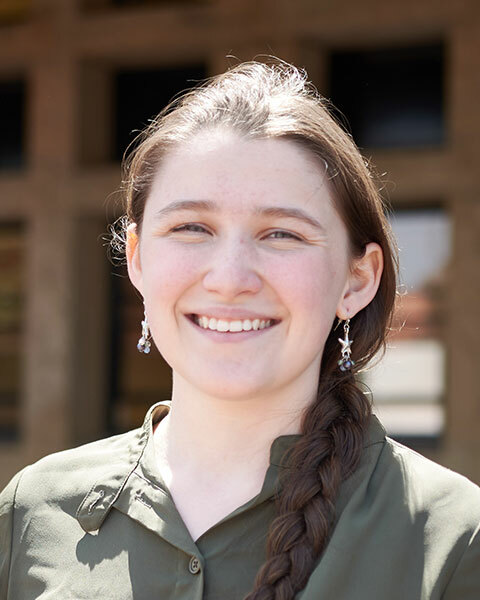 She also leads the Stanford Student Space Initiative high altitude balloon team, where she is a project lead for a world-record breaking balloon project.